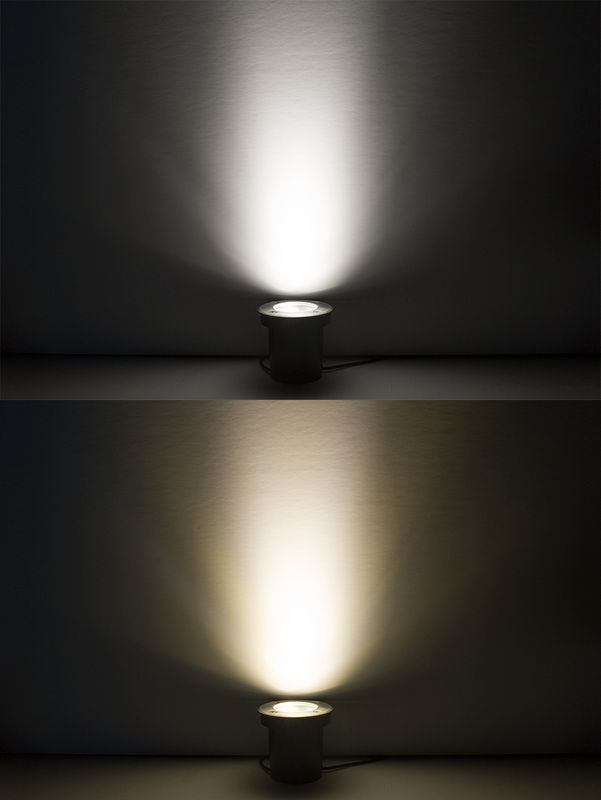 Linkable LED In-Ground Well Light - 3 Watt: On Showing Beam Pattern In Natural White (Top), And Warm White (Bottom). 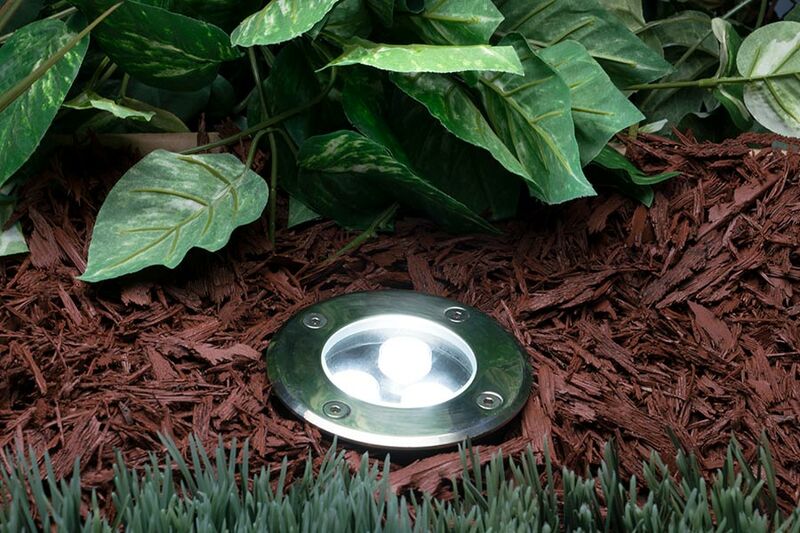 Linkable LED In-Ground Well Light - 3 Watt: Installed. 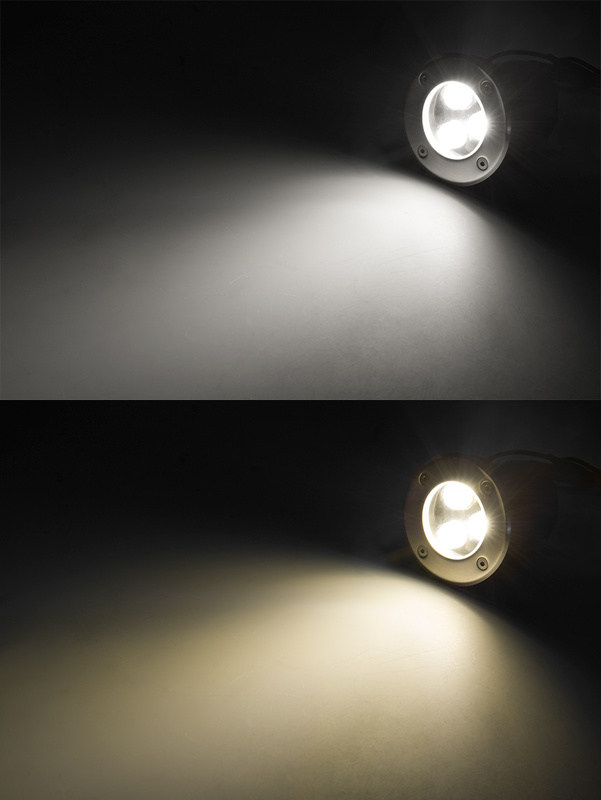 Linkable LED In-Ground Well Light - 3 Watt: Shown In Natural White (Left) And Warm White (Right). 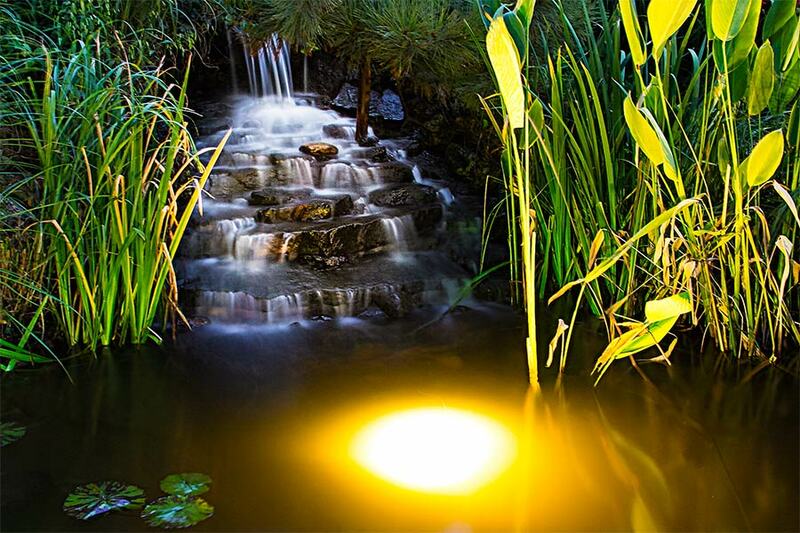 LED In Ground Well Light - 3 x 1W High Power LEDs installed in pond 3ft deep. 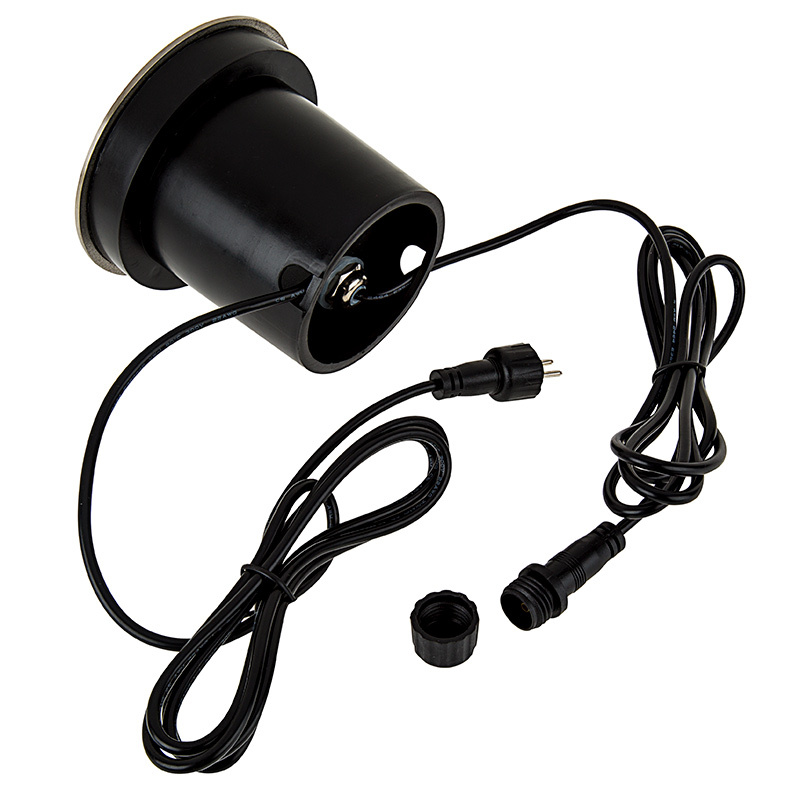 Use this in-ground LED well light for landscape lighting, architectural lighting, garden lighting, tree uplighting, submerged pond lighting, and more. 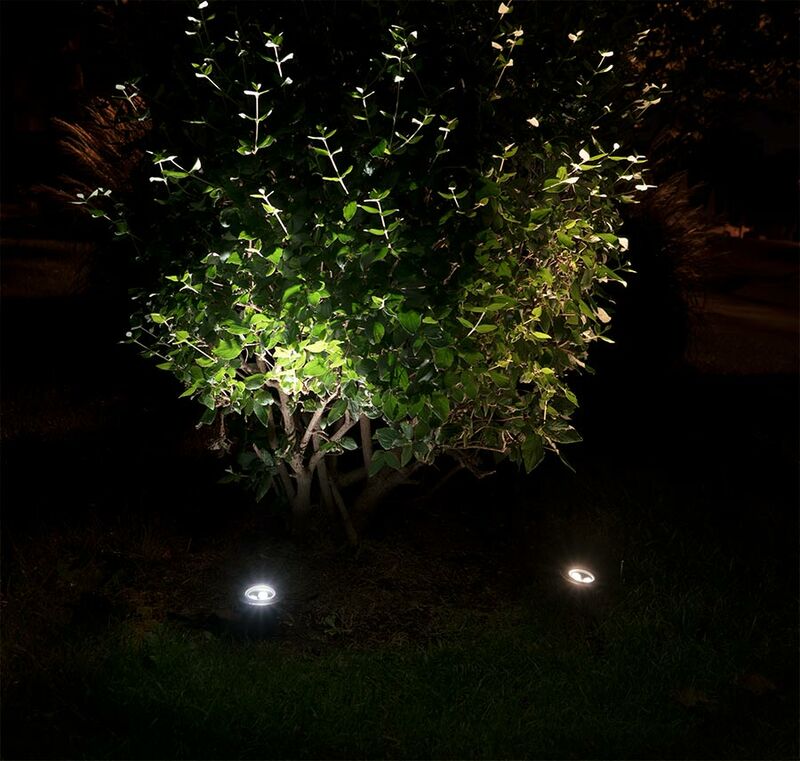 The well light has 3 LEDs that emit up to 160 lumens of natural white or warm white illumination. 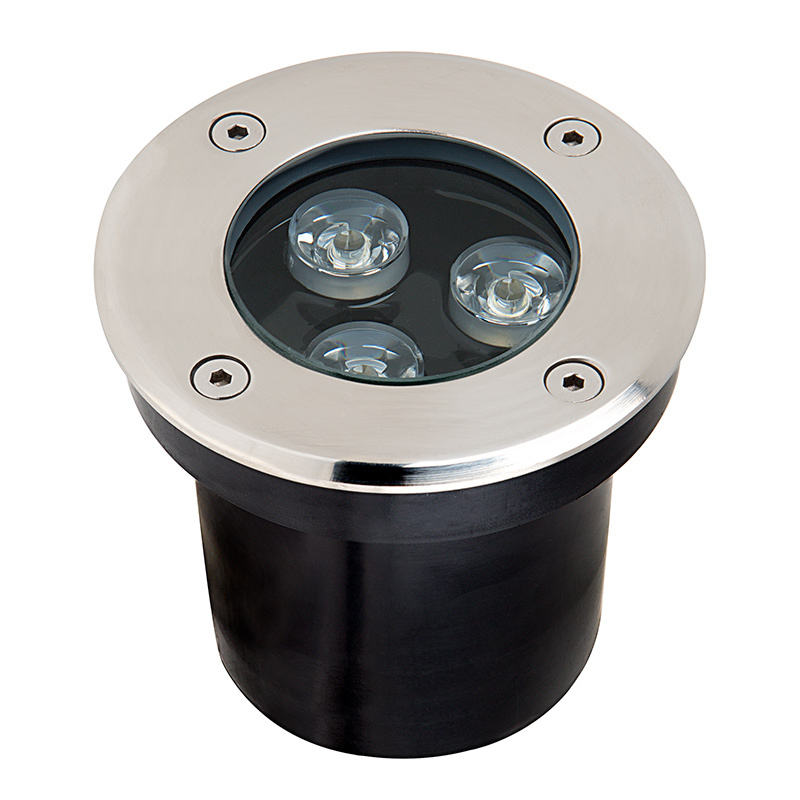 Construction consists of a waterproof stainless steel housing with a 2-3/4" ground-mounting tube and a tempered glass lens. 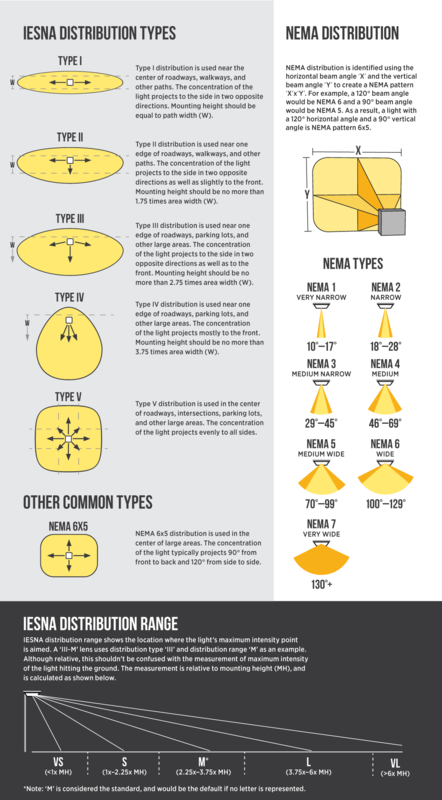 The LED fixture consumes just 3 watts of power and has 12V AC/DC operation. 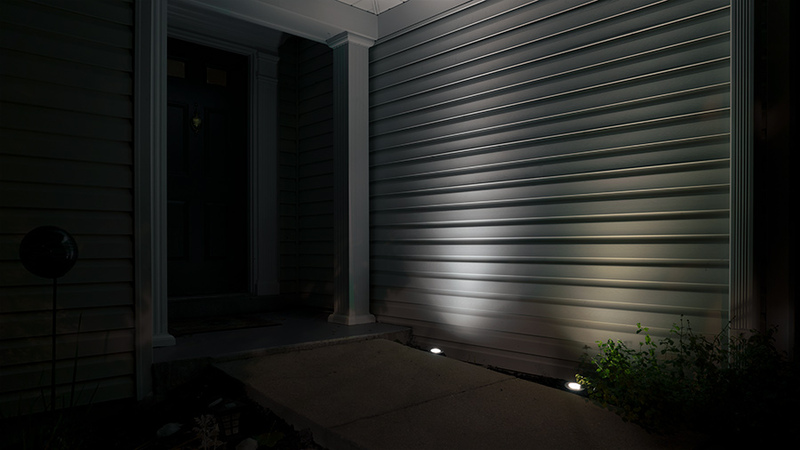 G-LUX plug-and-play connectors on both ends allow you to join up to 5 lights in a series or to install in a G-LUX landscape wiring system. 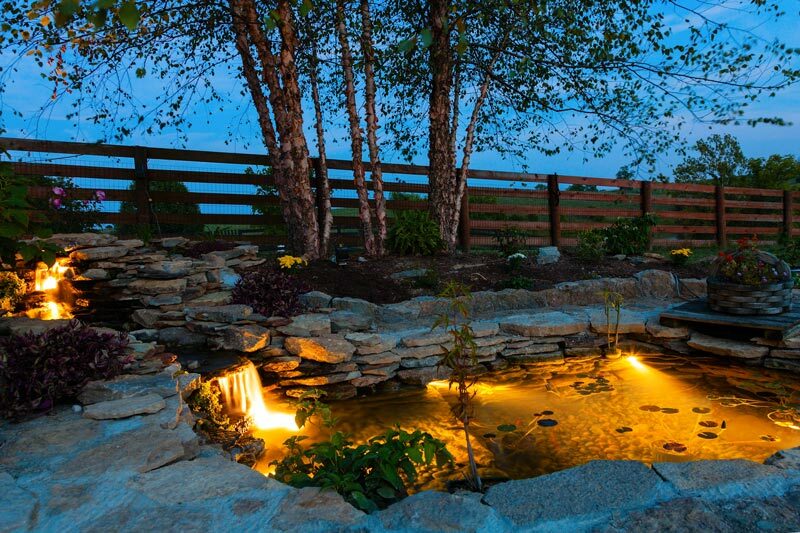 The linkable well lights can also be used in an existing low-voltage landscape wiring system with a G-LUX pigtail power cable. 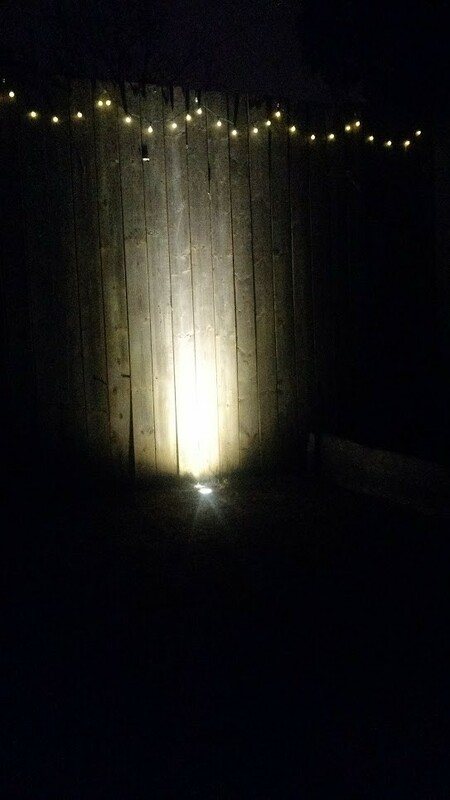 I've got this installed against a very boring but tall fence at the end of my property and it does a great job at... being bright. Easy to install because of the connectors, although I bought the pigtails to wire it into an existing landscape setup. 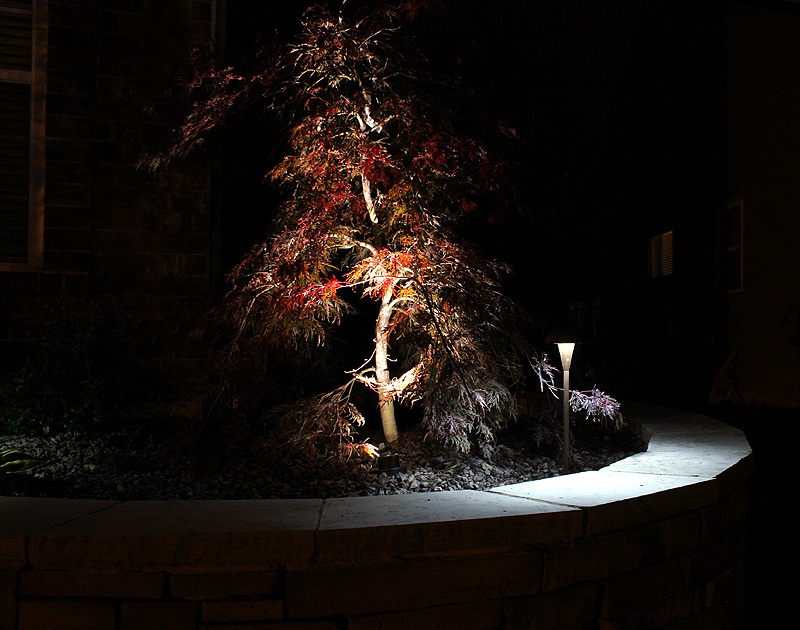 The fixture has a good weight and seems solid and puts off a really nice and bright light. I'd buy more if I had somewhere else to put it. 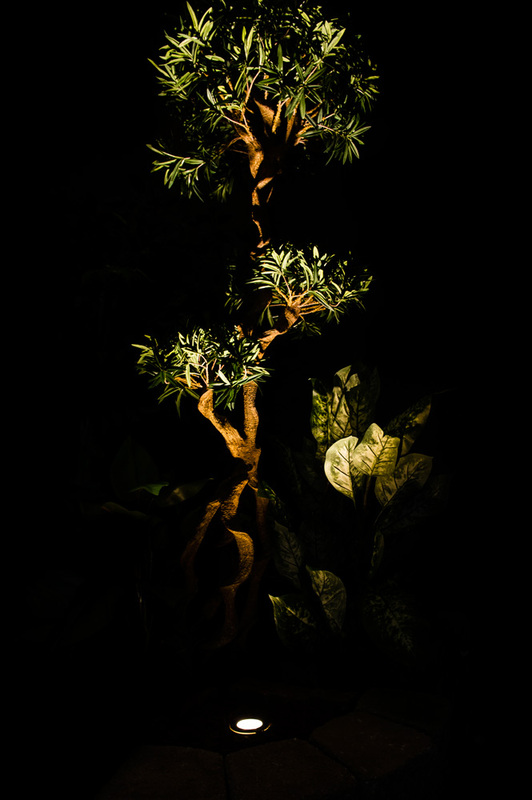 I use this to light a young Dogwood in the corner of my yard and it works perfectly. Have had it in the soil for about 3 months now with no cover overhead and it's been flawless. 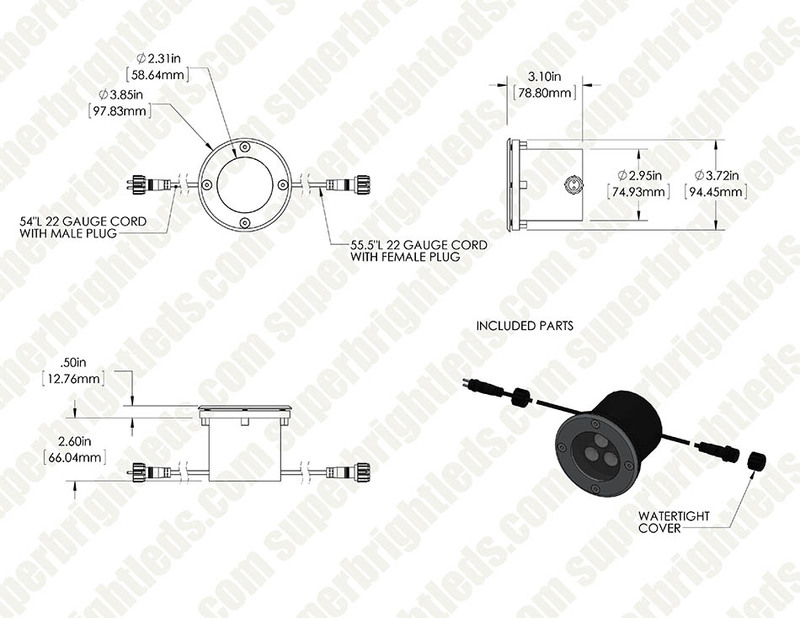 The install has 10+ 1w lights, this unit is right in the middle of the chain with no noticeable voltage drop. 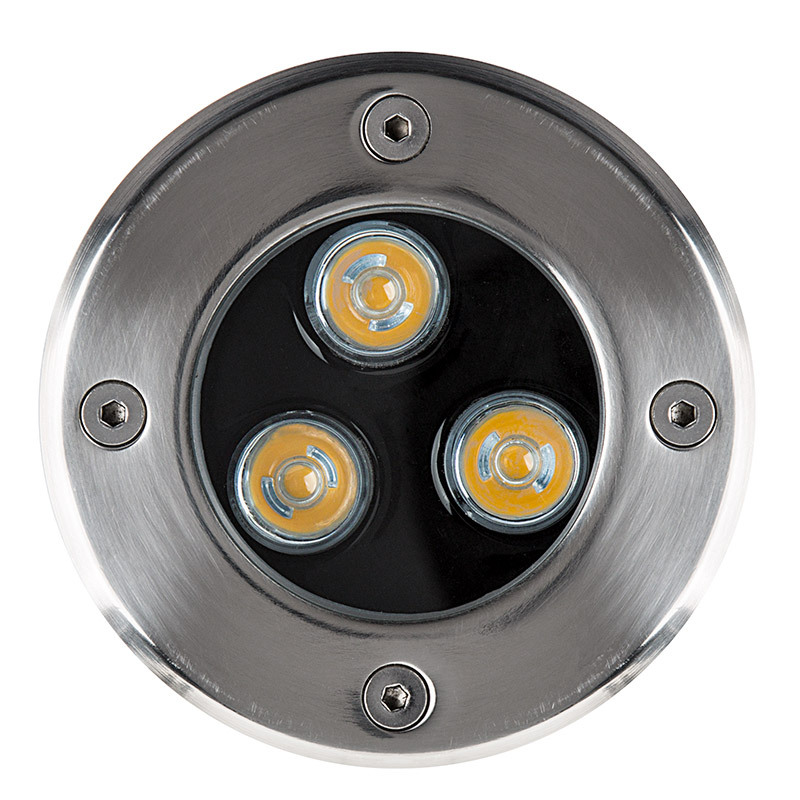 The 1w lights further down the chain do exhibit voltage drop but that is due to the physical limitations of electricity and copper. I'm using a number of GLUX products to accent my front yard. 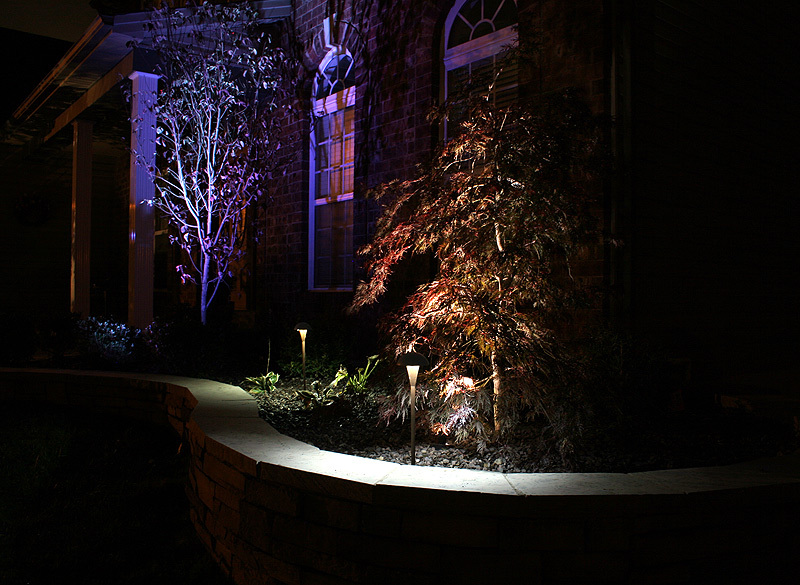 This 3W unit is perfect for highlighting the columns along the front of my house. 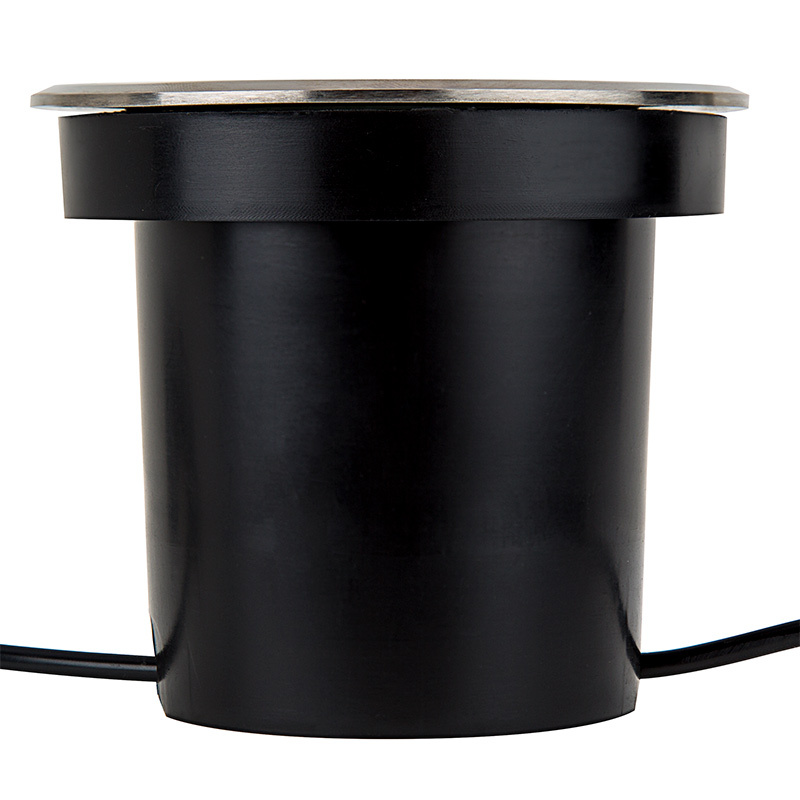 Love the plug-n-play simplicity, flexibility mixing and matching components, and the low current draw. 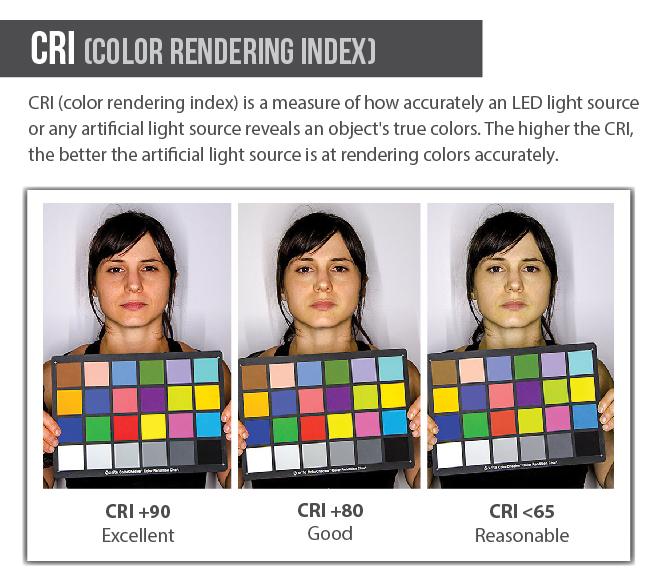 Products are very high quality, packaged very well, and priced to deliver a lot of value.